Osteoblastic Metastases to rib. 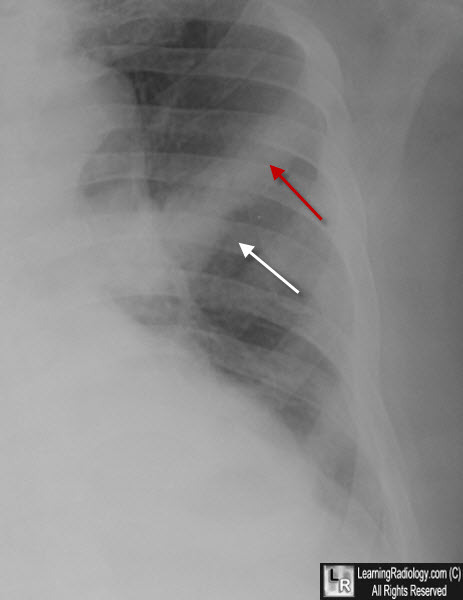 The left third anterior rib is sclerotic. It is also slightly expanded (white arrow). Note how the medullary cavity is filled with osteoblastic material (red arrow) blurring the lines between the cortex and the medullary cavity. Were this Paget Disease, the cortex would be thickened and the medullary cavity intact.